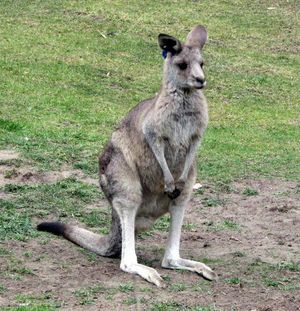 Infraklassen pungdyr hører til i infraklassen (pattedyr med pung), Metatheria. 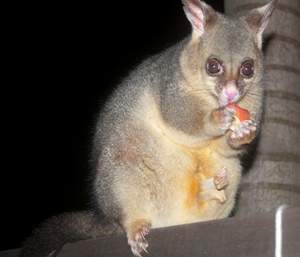 "Possum being too cute for its own good" by Jess Beemouse via Flickr, Creative Commons Attribution. 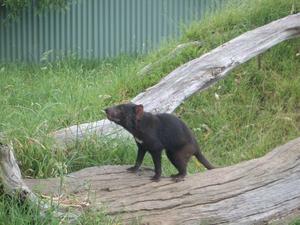 "Monito del Monte" by "Visor Austral" José Luis Bartheld via Flickr, Creative Commons Attribution. 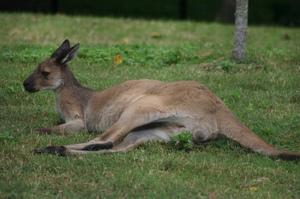 "IMG_0319" by Cleong via Flickr, Creative Commons Attribution ShareAlike. 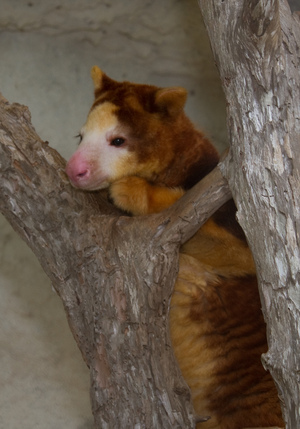 "Goodfellow's Tree Kangaroo" by WallTea via Flickr, Creative Commons Attribution ShareAlike. 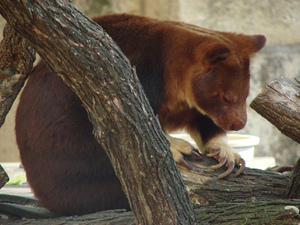 "Matschie's Tree-kangaroo (Dendrolagus matschiei)" by Brian.gratwicke via Flickr, Creative Commons Attribution. 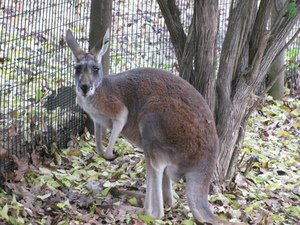 "Gray Kangaroo" by Ryan Somma via Flickr, Creative Commons Attribution ShareAlike. 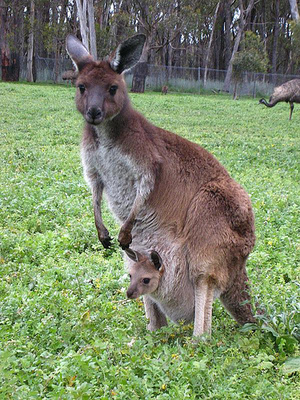 "Eastern Grey Kangaroo" by Just chaos via Flickr, Creative Commons Attribution. 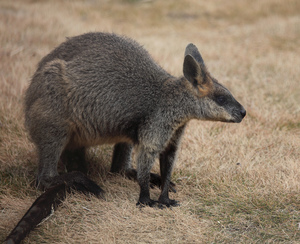 "Red-necked wallaby" by Grendelkhan via Flickr, Creative Commons Attribution ShareAlike. 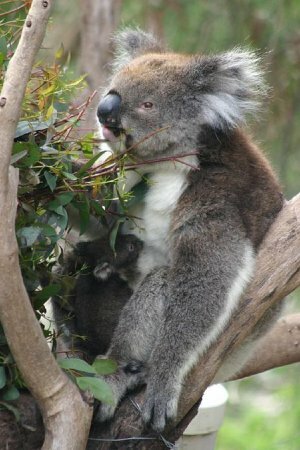 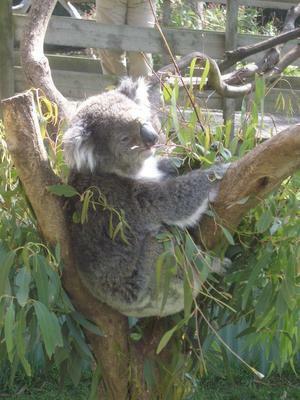 KCZooFan via Flickr, Creative Commons Attribution ShareAlike. 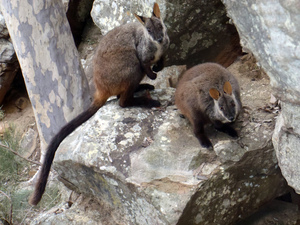 "Mareeba Rock Wallabies at Granite Gorge" by Richard.Fisher via Flickr, Creative Commons Attribution. 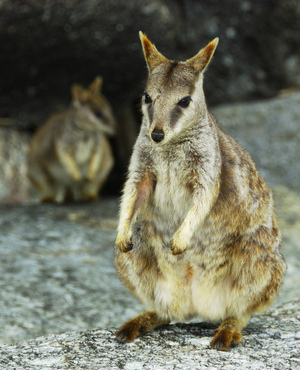 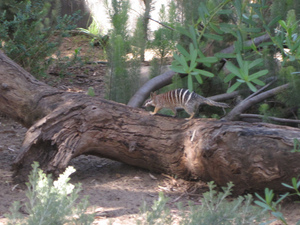 "Brush-tailed Rock-wallaby" by Doug Beckers via Flickr, Creative Commons Attribution ShareAlike. 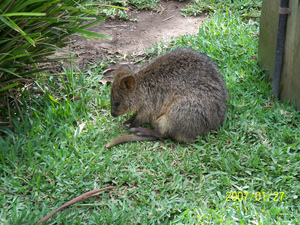 "Quokka" by Wallygrom via Flickr, Creative Commons Attribution ShareAlike. 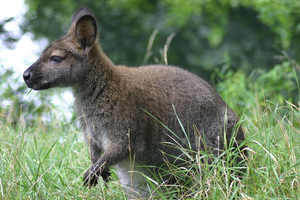 "Northern Swamp Wallaby / Wallabia bicolor mastersii / キタオグロワラビー" by TANAKA Juuyoh (田中十洋) via Flickr, Creative Commons Attribution. 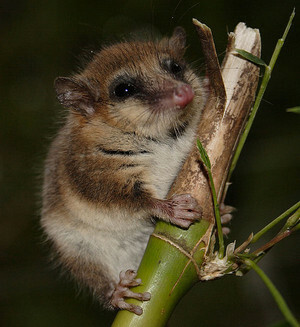 Sakurai Midori via Wikicommons, Creative Commons Attribution ShareAlike. 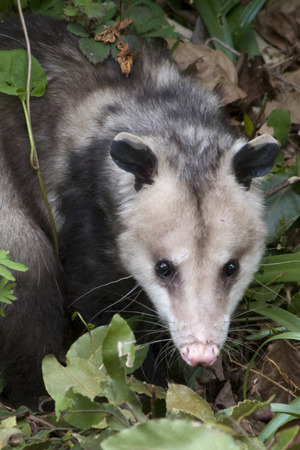 "IMGP5299_possum" by RaeAllen via Flickr, Creative Commons Attribution. 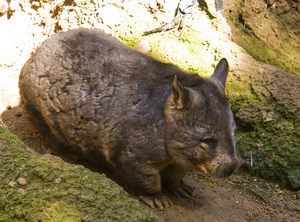 "Southern Hairy-nosed Wombat" by Jason Pratt via Flickr, Creative Commons Attribution. 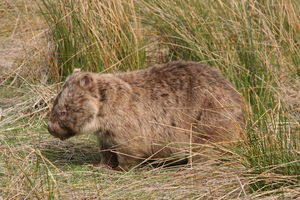 "Common Wombat" by Angrysunbird via Flickr, Creative Commons Attribution ShareAlike. 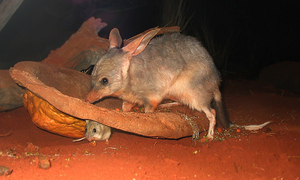 "Bilby at Sydney Wildlife World" by Derrick Coetzee via Flickr, Creative Commons Attribution.